Founded in October 2017, V Cycle is tackling Hong Kong’s environmental issues on two levels; ecological and social. By coupling them, we can empower the underprivileged and protect the natural world. Our mission is to stop plastic from polluting our environment by educating companies, schools and the public on waste reduction. Plastic stays within the loop by recycling them into raw materials or contemporary products that everyone could use; businesses, individuals alike! We will create jobs in Hong Kong and provide care for the underprivileged living in poverty through waste collection and recycling. We built V Cycle on the principle that environmental consciousness and human compassion are intrinsically linked. Hong Kong’s waste problem is unique in many ways, not only are we producing more waste than our landfills can house but most notably, we have allowed the elderly to shoulder the burden of recycling the city’s vast quantities of cardboard, at the expense of their well-being. Whilst the city has taken the “out of sight, out of mind” approach, at V Cycle, we’re achieving change more holistically and aim to shift behaviours before we reach the point of no return. 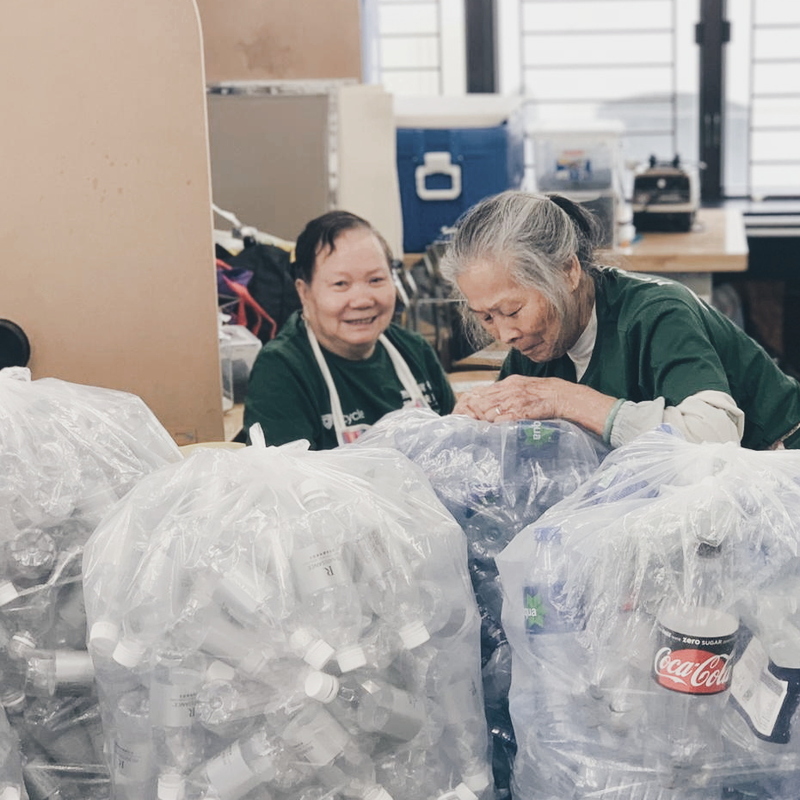 Our initiatives not only alleviate Hong Kong’s plastic problem but also provides care for elderly “cardboard grannies” and creates meaningful jobs for special needs adults; all while educating the public. V Cycle operates in three pillars to provide a platform for our community, we tackle social and environmental issues, bringing together like-minded people and organizations to create a cleaner, more loving Hong Kong for people. We provide environmental education on topics such as plastic reduction, waste separation and clean recycling to the general public, schools and workplaces. We share knowledge and facilitate deeper understanding for people of all walks of life to care more about their surroundings and the people around us. We collaborate with different individuals, NGO's, brands, and businesses to come up with innovative ideas and ways to collect waste and transform them into new products. We create job opportunities and work experience for the rehabilitating and rehabilitated. We develop an in-depth understanding of the working and living conditions of the waste pickers, and providing basic tools and means to alleviate hardship in their work.